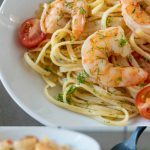 Linguine with Shrimp (Linguine con Gamberi) can be a weeknight dinner treat or a romantic night in meal for two that is budget friendly. 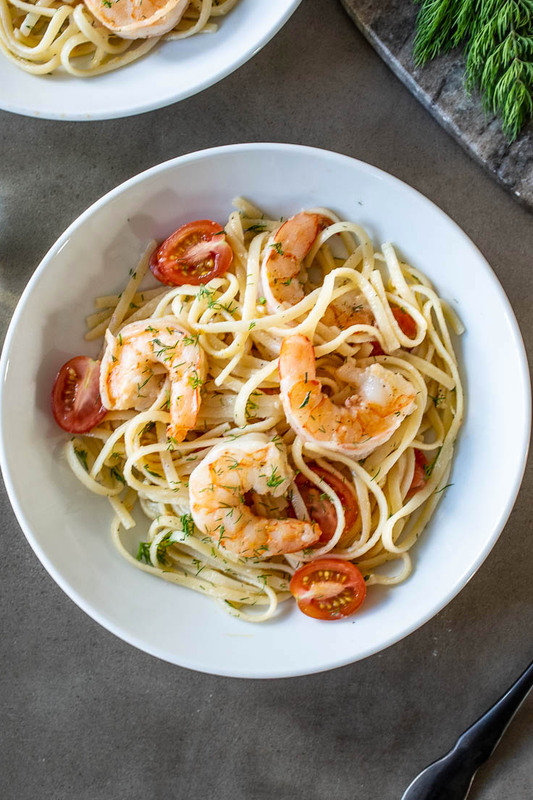 Shrimp is cooked with garlic, wine, lemon and dill and simply served over linguine. 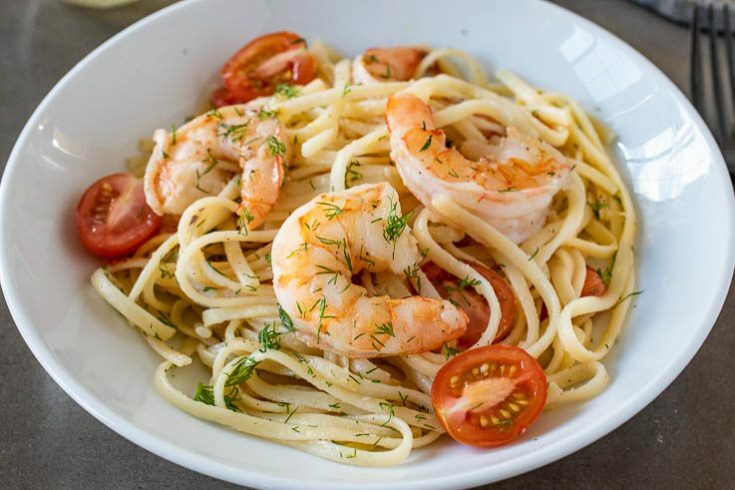 A shrimp dinner does not have to be pricey. It is if you order it in a restaurant, but to make this dish at home, it is not. Read on, because I’m going to breakdown how much it cost me to make this dish for two. Up in the ranks with chocolate, seafood is possibly the most popular meal to eat on Valentine’s Day. Why? Because oysters are considered the number one seafood aphrodisiac, but not everyone likes oyster and shrimp coming in a close second. This is how the recipe breaks down by cost. *Salt and pepper I have not factored in because everyone has this as a pantry staple. If you have olive oil, then that’s a cost savings too. $27.81 is not a lot of money for dinner for two, including wine. Plus, you don’t have to tip like you would if you were at a restaurant. 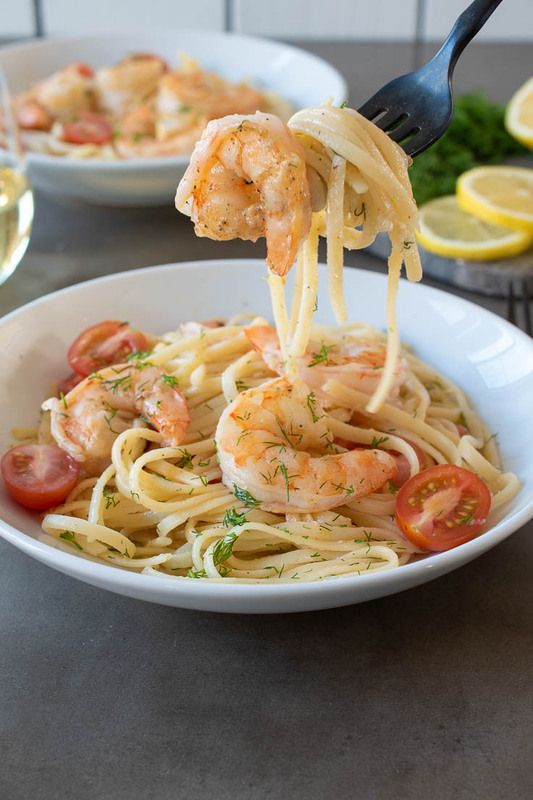 If you’ve tried this Linguine with Shrimp (Linguine con Gamberi) or any other recipe on the blog, then don’t forget to rate the recipe and let me know it turned out in the comments below. I love to hear from my readers! 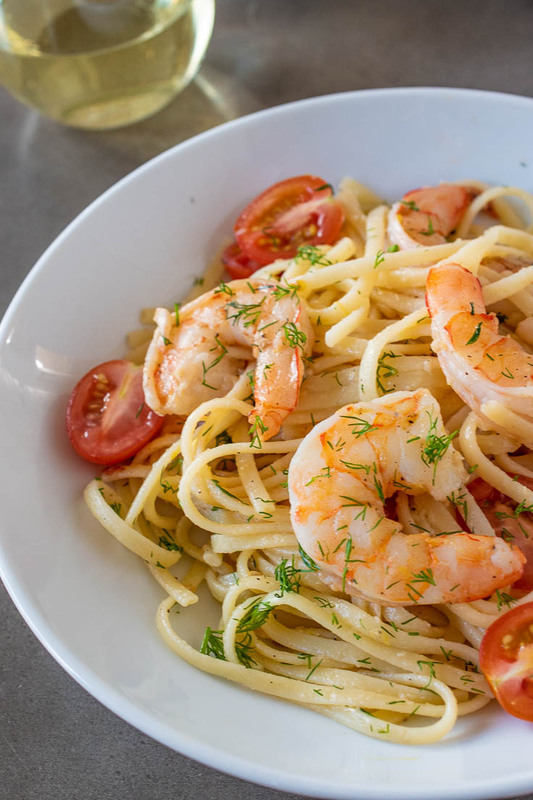 Sweet shrimp is cooked with garlic, wine, lemon, tomatoes and dill, then tossed with linguine. Fill a large pan with water and bring to a boil. Once boiling, add salt so it tastes like the ocean. Add the linguine and cook 2 minutes shy of the recommended time on the package. While the linguine cooks, add the olive oil to a large sauté pan over medium heat. Lightly season the shrimp with salt and pepper. Cook the shrimp for 1 minute per side, remove from the pan. Add the garlic and cook for 1 minute, stir in the wine and cook until slightly reduced. Add the lemon zest, juice, tomatoes, salt and pepper. Cook for a 2 minutes.